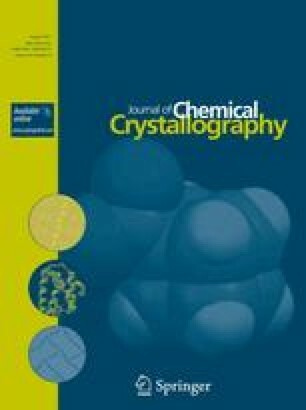 Two crystal structures of sulfonamide salts were studied by X-Ray diffraction. The compound C2H5N4O2S2 +·H2O·Cl− (I), (Hats·H2O·Cl, Hats = protonated 5-amino-2-sulfonamide-1,3,4-thiadiazole) crystallizes in orthorhombic space group, P212121, with unit cell parameters a = 10.047(4), b = 5.186(2), c = 16.766(6) Å and the compound C2H5N4O2S2 +·CH3O3S− (II), crystallizes in monoclinic space group, Cc, with unit cell parameters a = 5.378(3), b = 19.707(6), c = 10.014(5) Å, beta = 99.97(1)°. The molecules in compound I are arranged in a helix of alternating water and Hats molecules. Helixes are interconnected by hydrogen bonds provided by Cl− ions and one ring with a graph set R 6 4 (12) is determined. The crystal structure of compound II presents mesylate and Hats molecules bonded by two hydrogen bond determining a ring with a graph set R 2 2 (8). Two substituted sulfonamide salts were obtained, the hydrochloride is monohydrate and develops a helix arrangement of alternating water/sulfonamide molecules, meanwhile the mesylate is bonded to sulfonamide molecule determining a ring, with a graph set R 2 2 (8). J.R.A.D. thanks a UNSL fellowship. We thank the financial support of ANPCyT (Project PICT 25459), SECyT-UNSL (Project 7707) and CONICET (PIP Nº 01360/08). We are grateful to S.C.S.I.E. (X-ray section) of University of Valencia for provision of the X-ray crystallographic facilities. J.C.P. is member of CONICET.